The first step to making an impact is to start something. The second, third, and fourth steps are usually the same: Start something, again. Rarely will your first attempt work, but I assure you, it’s better than nothing. In fact, the most successful people have failed multiple times – and this exactly why they eventually succeed! It’s fine to accept failure, as long as you don’t settle for it. 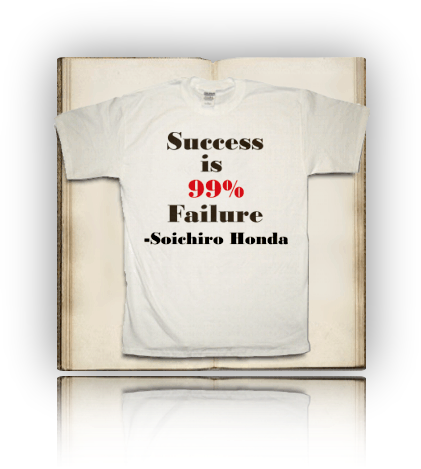 In fact, one of the top business books by Seth Godin motivates you to quit in the face of failure. Quitting is fine, and failure is even better, as long as you learn from it. The key to success is learning how to fail. So based on our own experiences at MovingWorlds and our previous ventures in the start-up and social enterprise spaces, here are 4 tips to help you fail better so that you can succeed, faster. If you are going to fail at something, fail at something worth failing for. Failing at starting a new coffee shop is boring because that has been done before. Failing at trying to revolutionize a category still leads to exciting development and inventions. The Segway might be an epic failure as a business, but its brilliant gyroscope technology has empowered people with disabilities to move about more freely and efficiently. The greatest tragedy in life has nothing to do with not achieving your goals, it’s never setting goals in the first place. Steve Jobs said his goal was to “put a ding in the universe”. Google as a company is working on “organizing all the world’s information”. Will Google succeed? Did Steve Jobs? Regardless of the final result, they have inspired and empowered millions. Don’t equate making mistakes with being a mistake. You can’t change mistakes, but you can choose how to respond to them. Don’t over-compensate: the next situation won’t be the same as the last. What other tips do you have to get good at failing?